Discount Forklifts engines are “hot run” tested and guaranteed to meet or exceed OEM specifications. Top quality workmanship by highly trained forklift professionals. All engines are hot run tested for 27 minutes at R.P.M. settings of 300, 1500 and 2400 for leaks, oil pressure, noises and vacuum. Heads are then re-torqued. Renewed Originals are sealed in heavy plastic to prevent dust contamination, then shipped on specially designed skids in cardboard cartons for protection. Discount Forklifts “Renewed Originals” are not just rebuilt engines, they are totally remanufactured. This results in top quality engines at great prices! All engines are carefully disassembled and totally oven cleaned. 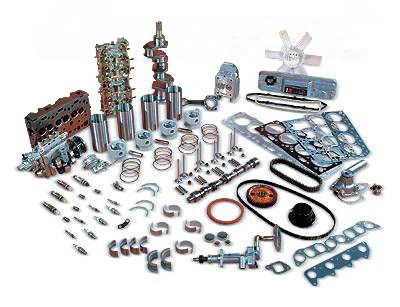 The head, block, rods, crankshaft and camshaft are Magnafluxed. Any that do not meet OEM specifications are replaced. All new pistons, rings, spark plugs, gaskets, seals and bearings are installed. Complete assembly is handled by one specially trained master technician. Engines are hot run tested for leaks, oil pressure, noises and vacuum. Heads are re-torqued, valves set and the engine is painted.